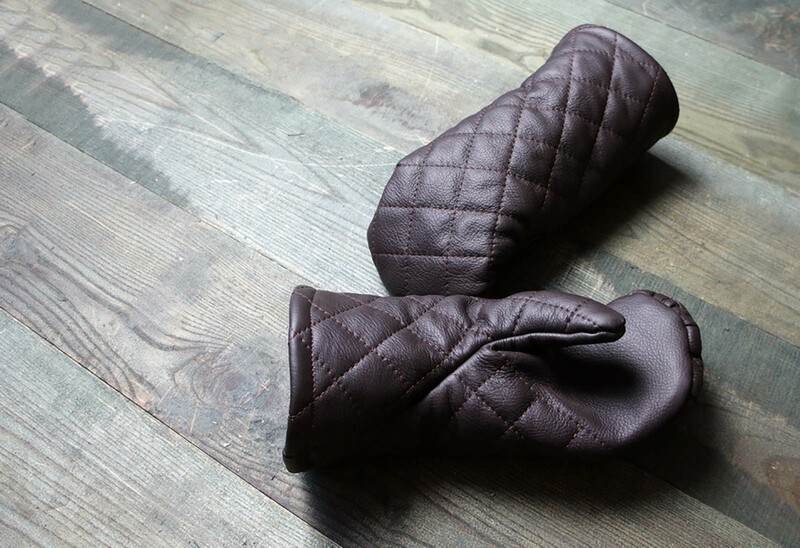 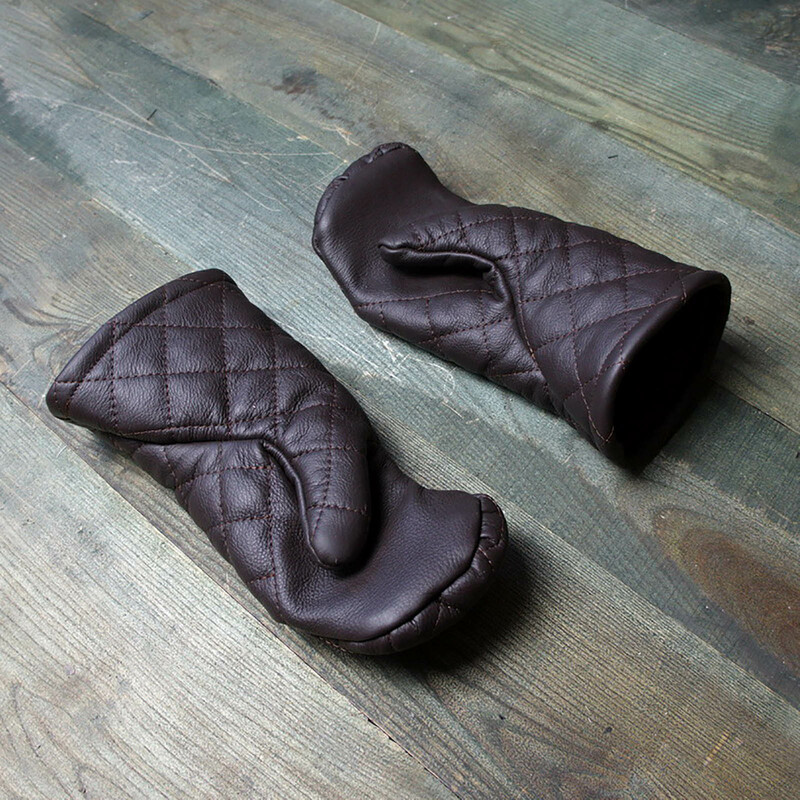 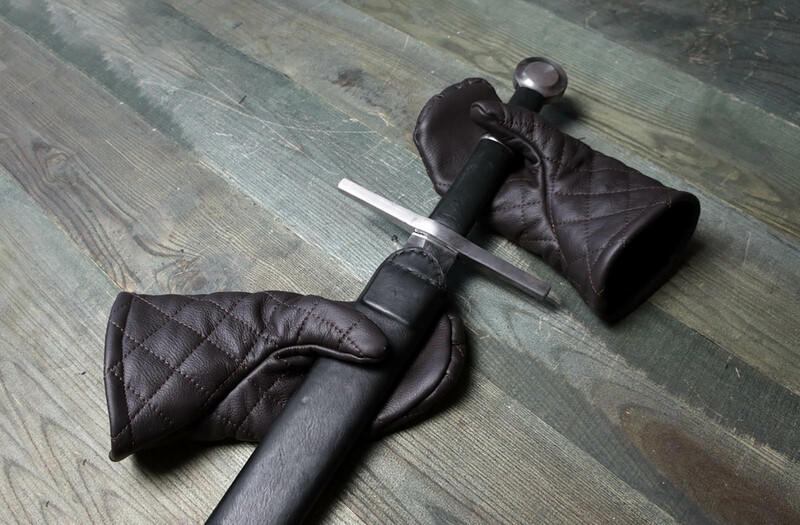 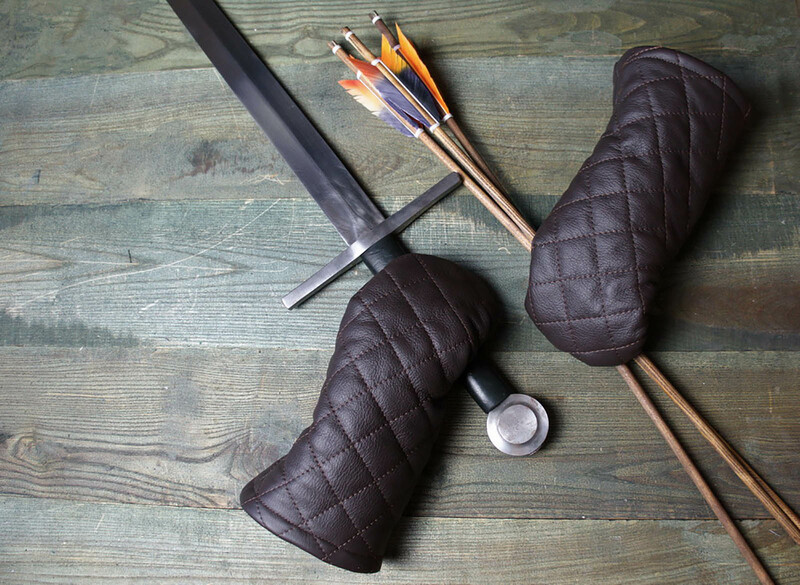 Mittens made of leather, with padding inside. 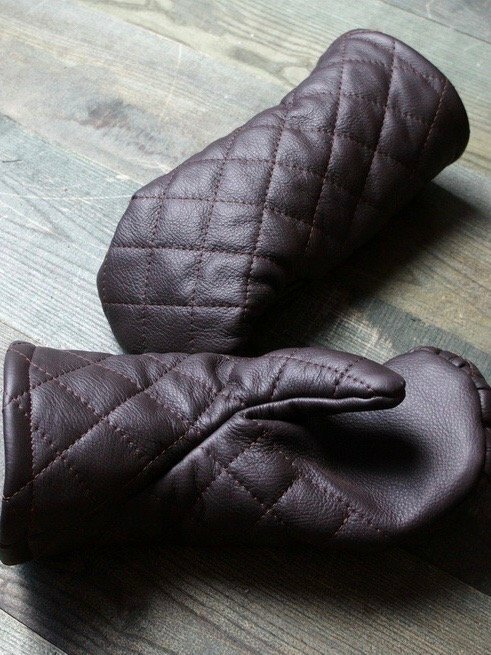 Basic price include cotton lining. 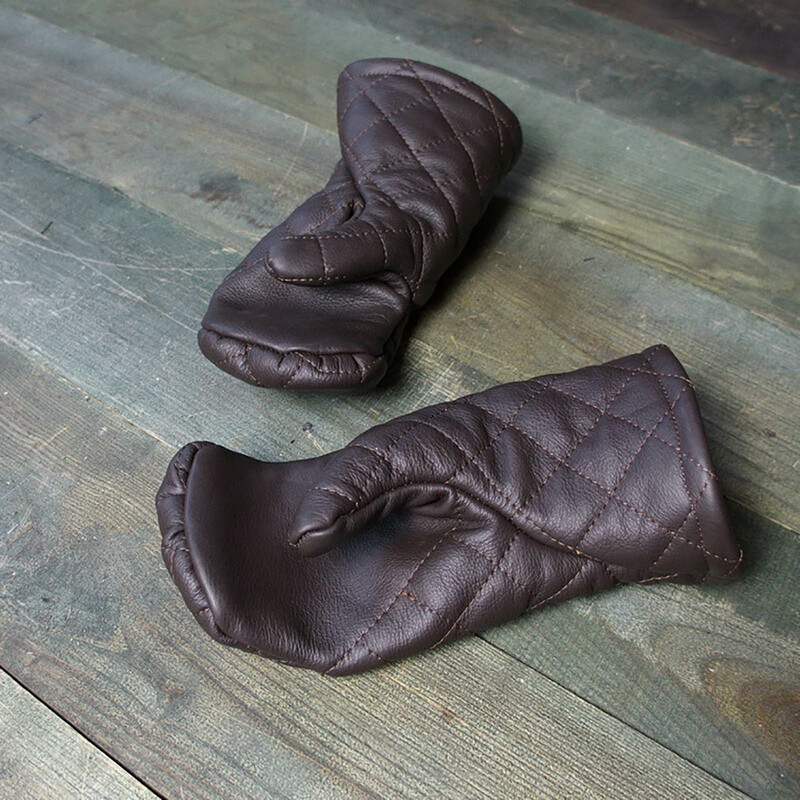 In option you can choose linen lining.